The director and star of First Reformed discuss the themes of their film. Currently on release in the US, critics (ourselves included) are hailing First Reformed as one of the finest works of writer/director Paul Schrader. In the film, Ethan Hawke plays a pastor who suffers an existential crisis following an encounter with a troubled parishioner. In two new featurettes, Schrader and Hawke discuss the themes of existentialism and environmentalism that run through their film. Check them out below, along with the UK trailer. 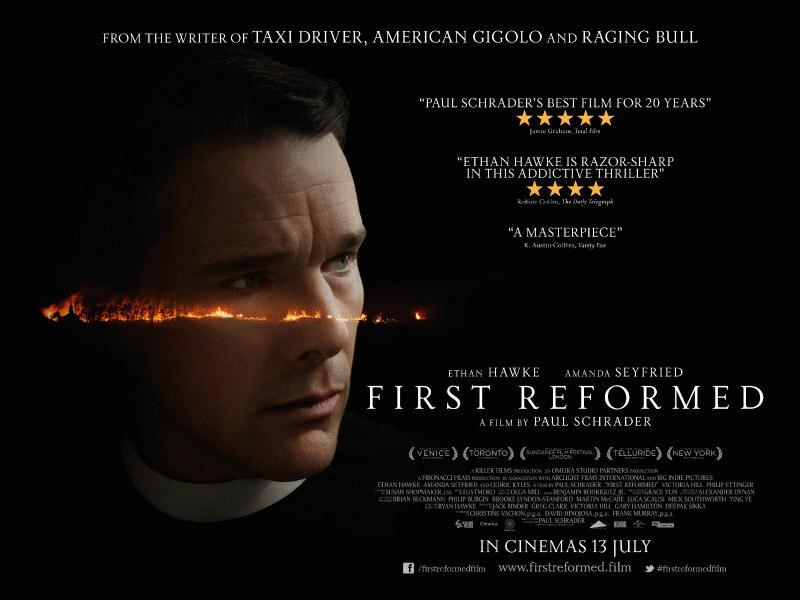 First Reformed is in UK/ROI cinemas July 13th.